Do I Need Insurance for My Boat or Jet Ski? When summer comes, many of us enjoy spending days out on the water. Whether you own a boat, Jet Ski, or other type of watercraft, protecting investments like these and the people who use them is critical because you never know when an accident will occur. Although some homeowners policies provide limited coverage for small boats, they typically don’t cover more than $1,000 in property damage or liability. If you want to protect yourself from property damage costs and liability in the event of an accident, purchasing personal watercraft insurance is a necessity. Liability – In the event you and your passengers are in an accident, coverage will help pay medical costs for those injured as well as property damage inflicted on another’s watercraft. Medical Payments – If you are hurt in an accident, watercraft insurance helps cover medical costs related to your injuries. Collision – A watercraft policy will cover your personal watercraft if it is damaged in a collision or needs to be replaced (up to the estimated value of the watercraft). On-Water Towing and Labor – In the event your watercraft breaks down while you’re out on the water, this policy can help pay for costs to repair your craft on the water or tow it out of the water. Comprehensive – If something happens to your watercraft outside of a collision, such as vandalism, your insurance policy will help cover the damages. Although personal watercraft insurance covers a great deal of the risks you may face out on the water, some policies don’t cover everything. 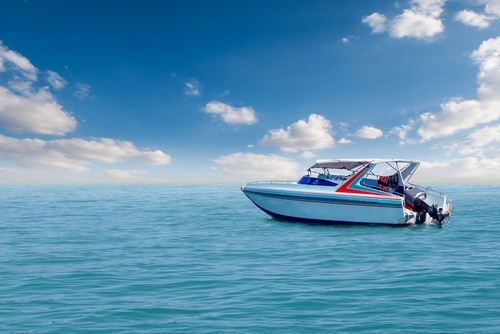 Consider instances when you may have a challenging time collecting a claim, including when you operate watercraft without a valid driver’s license and when your watercraft has been modified to increase speed. Previous PostWhat Impact Could Artificial Intelligence (AI) Have on P&C Insurance?